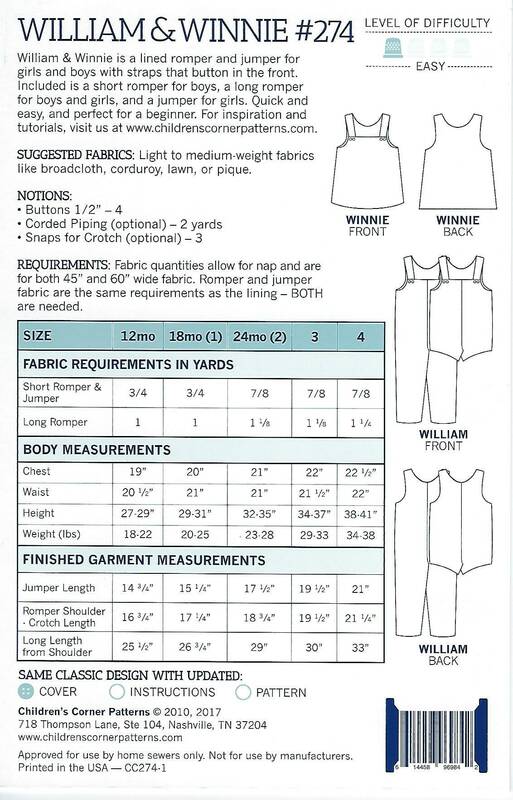 WILLIAM & WINNIE is a lined romper and jumper for girls and boys with straps that button in the front. 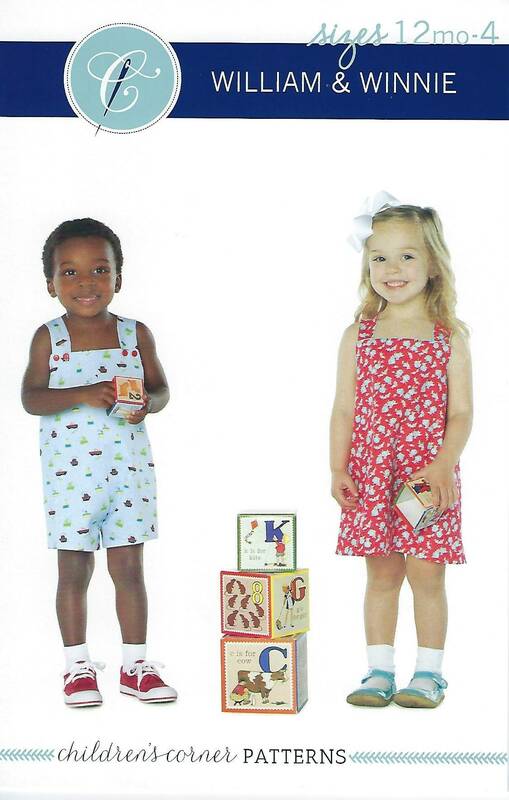 Included is a short romper for boys, a long romper for boys and girls, and a jumper for girls. Quick and easy, and perfect for a beginner.